This is an exclusive member club from Cebu Pacific. You can book flights at Piso fare P1. 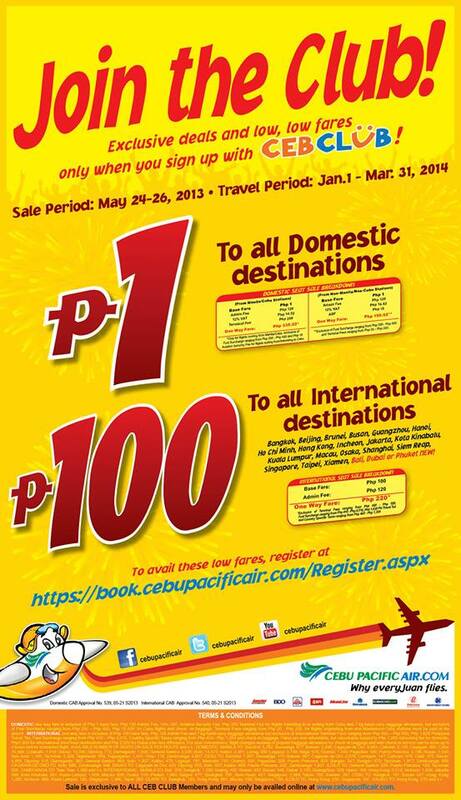 And to all international destinations at P100. May slot pb ng promo na to?.bcoz I want to book for may family vacation?..